The name points to the fact that three ex-members of Deep Purple were part of the band’s line up in 1981: David Coverdale, Jon Lord and Ian Paice. The back cover states that this audience recording comes from the Hammersmith Odeon in London on 09 June 1981. While the band performed there on that day, the recording comes from their Japan tour in the second half of June, most probably from Tokyo’s Nakano Sun Plaza Hall. A collector would just have to compare the UD album with the source tapes (which exist for every night of the tour). Japan: 1982 – the band toured Japan in January/February 1982, so this set may have been released around that time. This is the corrected set list. The changed song titles based on what was deciphered make it clear that UD were not big Clash fans. Confirmed missing following ‘Radio Clash’ are ‘Bankrobber’, ‘Complete Control’, ‘Lightning Strikes’, ‘Charlie Don’t Surf’ and ‘Spanish Bombs’; perhaps more. B+/B quality with an ‘Exs’ rating in HOTWAX. Following the release of their Sandinista triple album and sandwiched between two European tours, the Clash decided to play three residencies spread among New York, Paris and London. “My favourite moment in Clash history. Second night of the Magnificent Seven at the Lyceum, Oct 19th 1981. My first Clash gig. Very defining. I heard from fans who’d been there the night before who raved about the gig: a two hour forty minute concert with a forty minute encore. I met the band as they turned up in the alley I was hanging around waiting for the doors to open. The show did not disappoint with Joe et al performing a show that went…two hours and forty minutes! Futura 2000 painted the backdrop during the concert and then when he took the mic, Joe had to stop the gig because the punks were gobbing on the rapper. I sang the entire concert, almost blew my eardrums by standing up front by the speaker bank, and took the week off work with laryngitis! 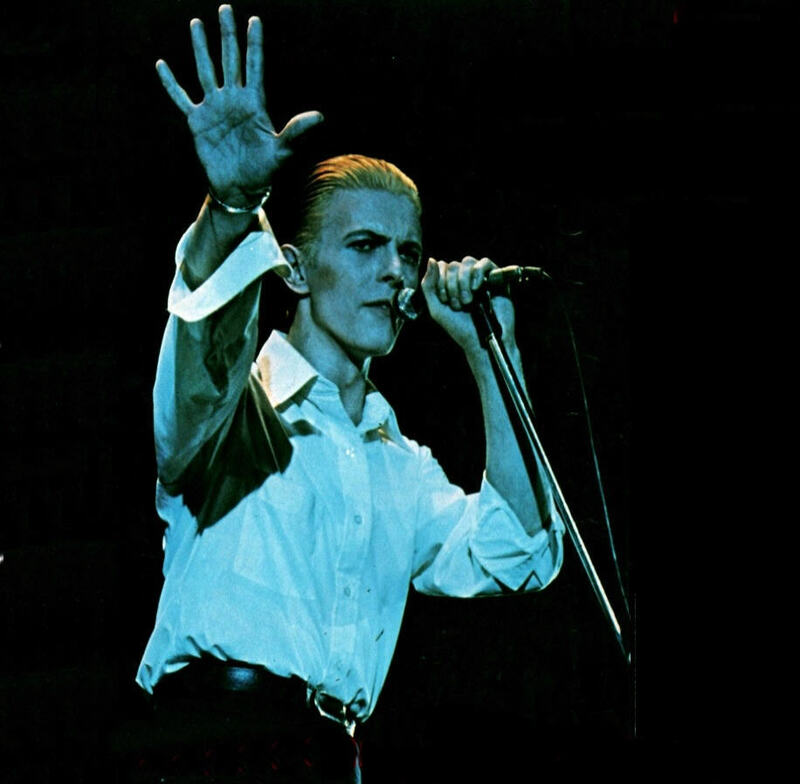 Source: Incomplete audience recording from Bond International Casino, New York – 10 June, 1981 – the 12th show (out of 17) of their NY residency. Announcing the original dates. Matinee and evening shows were scheduled, with tickets costing $5 and $10 respectively and sold via the venue and Ticketron. When the authorities stepped in, only those holding Ticketron tickets were allowed inside and the rest had to attend a newly arranged date. The poster, sold at the gigs for a couple of $’s or obtained for free in other ways, is now worth some serious money. A performance of the punk-rock group the Clash was canceled yesterday following an order to close the crowded Bonds Disco on Times Square, where it was to have taken place. Hundreds of angry fans were cleared off 45th Street by mounted police officers after it was announced that the London-based group would not perform its scheduled 1 P.M. show. ”Hell, no! We won’t go!” chanted the fans, some of whom had waited in line since 3 A.M. It took about 20 minutes to disperse the angry group of 800 fans. No arrests were reported. The show was canceled after the city Buildings Department issued an order requiring the disco to shut down because of a problem over exits. Joel Heller, the disco’s manager, said two June matinees had been arranged for the fans who were to have attended the afternoon show yesterday. Bond’s, a former clothing store at 1526 Broadway, was closed early by fire officials Thursday night after inspectors reported that they had counted more than 3,600 people jammed into the club. Each customer had paid $10 to see the Clash. The club can legally accommodate only 1,800 people. “Angry ticket holders rioted outside, filling the streets of Times Square, stopping traffic and drawing dozens of police officers to quell the rage. One website claims Times Square hadn’t seen that much commotion since V-J Day. The story made international news the next day. The band’s official website states “… in a move reportedly involving murky inter-club politics”. Based on what the poster below indicates, ticket holders were turned away from the first (or 2nd performance – if there was a matinee as well). “On the way out the fire department were counting the number of people leaving the building.” and quickly found out how many tickets had actually been sold. Bond’s had recently branched out from disco dancing into rock shows, with the Ramones, Blondie and the Plasmatics performing there but nobody had attempted a whole series of concerts at Bond’s with enough ticket sales to fill Madison Square Garden twice. “The Clash shows at Bonds in New York were the height of classic Clash selfpromotion. Well in my eyes at least. Like Joe disappearing before concert tours, or Topper s in Topper s out. How exactly does one over sell tickets to a show. You know the occupancy level of a venue, it s a finite number. You sell X many tickets per show. How hard can that be? But not Bonds. Not this time. There were so many people packed into Bonds in the first days, the city closed down the May 30th show. The munificent and magnificent Clash said we ll just play more shows. Isn t it amazing that Bonds had nothing else booked for the days those 17 shows were on? Hmmm. Nor the Clash? Hmmm.” [www.go2jo.com/music/the-clash-bonds-nyc-1981/#ixzz3uwCtd0Go] Definitely visit Joe Streno’s blog for his great photos and commentary. The Clash concerts at the Bond’s International Casino, West 45th Street and Broadway, have been causing quite a stir, and not because of the British rock band’s political lyrics and incendiary performing style. Bond’s was closed by the city Department of Buildings on Saturday after the Clash played to a crowd estimated at 3,640 people; the club’s legal capacity is 1,800. But after the club complied with building inspectors by installing fire-exit signs and making other minor alterations, it was allowed to reopen – on the condition that audiences not exceed the legal limit. One downtown club that is closed oversold an engagement by Chuck Berry so heavily last year that the entire block in front of it was packed by angry ticket-holders who were unable to gain admission. The Fire Department arrived and demanded that the crowd from the first show be cleared out. The second show finally got under way at around 5 A.M.
More recently, a show by Adam and the Ants at the Ritz found the club jammed and a large number of people pressed together outside, hoping to get in. In a related incident, a full house at the Ritz began throwing bottles at the club’s video screen two weeks ago when the British band Public Image Ltd. performed behind the screen, refused to come out from behind it, and taunted the audience. Several fans then stormed the stage, ripping down the screen and destroying equipment. There was a moment of near-panic on the crowded dance floor, though apparently no one was hurt. If rock shows at large clubs result in more trouble, and especially if there are injuries, legislation governing ticketing, security and other rock-club procedures might well result. Such legislation would undoubtedly make it more difficult for rock clubs and independent promoters to hold their own in an increasingly competitive marketplace. The options seem clear. If the city’s rock clubs do not do a better job of regulating themselves, someone else is going to step in.